Roll over is not done in shares but in derivatives segment of share market. Derivatives is popularly known as "F&O" in Indian stock markets. Whatever position you have taken in "futures" will be squared off at the end of the "futures" end date. Instead you square off the position in near month and initiate a fresh position in "mid month" or "far month" in futures, is "Roll over". The simple meaning of rollover is carry forward in Next f&o segment. There are three Valans in f&o segment. Generally Traders do Rollover in the end ( expiry ) of valan. 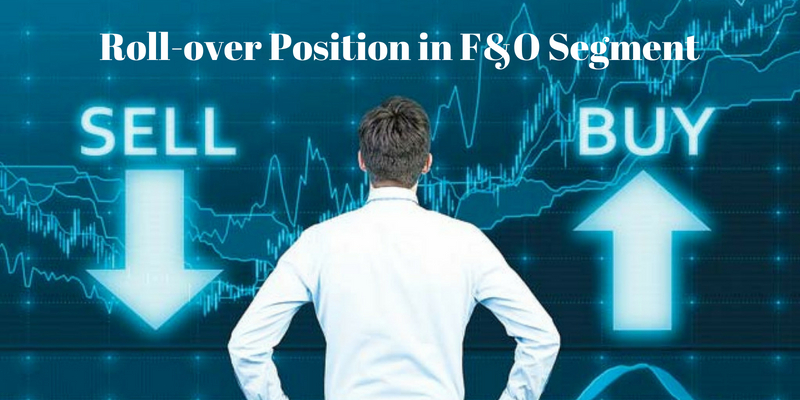 If traders are bullish they do Rollover his buying position in next F&o Segment and same way If traders is bearish he Rollover’s his selling position in Next settlement. Traders can Rollover in only in f&o segment stocks. Rollover cannot happen in other segment. Every F&o Segment get expires on last Thursday of the month, if the Thursday is a Holiday then it will be done a day prior to that day on wednesday. Traders who would like to take more risks with great profit expectations trade in derivative segment of trading. Some Intraday Traders enter F&O segment, without even understanding the concept of F&O trading in Indian Share Market. As F&O involves more fund requirement, both the loss and profit may be very much higher compared to the delivery based trading. Every Trader as to follow certain specified rules of intraday trading in f&o segment. A1 Intraday Tips has tried to explain completely the meaning of Rollover with example. Mr. Abc buy's 1 Lot ( 1000 qty ) of Tata steel in July, 2014 F&o Segment @ 538. Now Mr. Abc is Bullish in tata steel and he expect that price of tata steel will go more up in August f&o segment, he will carry forward his position in august f&o segment. First Mr. Abc will sell 1 lot of Tata steel in July segment and same time he will buy 1 lot in august f&o segment, So Mr. Abc has Rollover buying position of tata steel in nse market. Some time traders has to pay premium for his rollover the position e.g. in July series Tata steel price is running 538 Rs. And in august series might be 542 so traders has to pay Rs. 4 extra to rollover his position in Tata Steel in next settlement. This depends upon market volatility and movement. To make it simple Rollover means if you have bought shares in the F&O segment and if you dont want to sell them during the current settlement (last thursday of the month) you can continue holding it by paying the difference to the broker to the next settlement. ( You have to inform the broker to roll over your shares to the next settlement ). Every Traders who is new to stock market should first read our Stock Market education centre and How to Trade in our Stock tips to get better idea of stock market and our services.